Thirty million years ago, before Ethiopia's mountainous highlands split and the Great Rift Valley formed, the tropical zone had warmer soil temperatures, higher rainfall and different atmospheric circulation patterns than it does today, according to new research of fossil soils found in the central African nation. Tabor's research supplies a picture of the paleo landscape of Ethiopia that wasn't previously known because the fossil record for the tropics has not been well established. The fossils were discovered in the grass-covered agricultural region known as Chilga, which was a forest in prehistoric times. 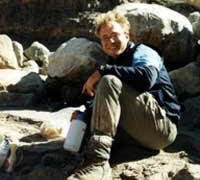 Tabor's research looked at soil fossils dating from 26.7 million to 32 million years ago.